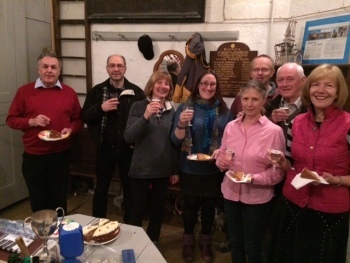 Birthday greetings also to David Marshall and best wishes to Phil (Pacemaker) Sealey, who should have been ringing. Graham, Charles, Lucy, Becki, Sue, John, Chris, Annie. Last updated Thursday, 22 February 2018 at 22:58:51. First submitted Thursday, 22 February 2018 at 22:50:22 by John Gwynne. Sent for publication in The Ringing World on Thursday, 22 February 2018 at 23:18:28, and printed in issue 5577.